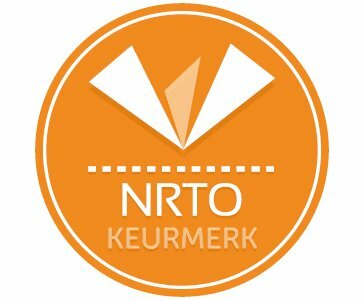 Regina Coeli meets the quality mark criteria of NRTO, Blik op Werk and the Dutch Bar Association. Language Institute Regina Coeli meets the quality mark criteria of the NRTO-Quality Mark awarded by the Nederlandse Raad voor Training en Opleiding (NRTO). The NRTO quality mark is a recognition of quality and professionalism in the private education and training sector. The sector association has formulated eight stringent requirements which members must meet in order to receive the NRTO quality mark. It reassures anyone looking to get an education or follow a course that he or she is dealing with a professional organisation which delivers courses of an exceptionally high-standard. 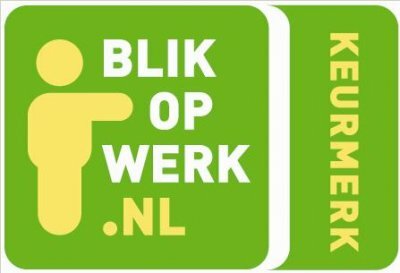 Language Institute Regina Coeli is an approved ‘Blik op Werk’ school. This means that you can borrow money from the Dienst Uitvoering Onderwijs (DUO) to pay for education related to your preparation for the Integration Exam or the Dutch as a Second Language State Exam (NT2). Language Institute Regina Coeli’s language courses are mainly suitable for individuals with a solid level of education. This means we primarily support people in their preparations for the NT2 Exam. An NT2 diploma allows you to study or find a job in a professional field in the Netherlands. Would you rather take the Integration Exam? We can help you prepare for this as well. Would you like to make use of a DUO loan for a Dutch course at Language Institute Regina Coeli? Discuss your options with one of our colleagues in Client Services on +31 (0) 73 6848790 or use the contact form. Language Institute Regina Coeli has been accredited by the Bar Association of the Netherlands as an approved training institute. Lawyers who do language training at Regina Coeli can earn twenty study points which contribute to their mandatory continuing professional development. Many jurists choose ‘the nuns of Vught’ Regina Coeli has significant experience in the giving of individual language training to lawyers. Prior to the language course, we carry out a personal intake interview in which we put together a lesson plan which takes into account the individual’s current language level, his/her specific areas of law and other matters relevant to his/her requirements. Would you like to find out what the possibilities are for you? If so, feel free to contact us!